Life moves so fast. The craziness of the day never seems to slow and the exhaustion sets in. Today was no different but the ending to this day was very different. Something Makenzie has not done since her accident. I layed all of the kids down to bed. Makenzie was still awake because she had the hic ups. I took her back downstairs, turned the TV way down and sat on the couch. Makenzie yawned and then I felt her melt into my arms. I patted her bottom for a few minutes as I felt her breathing deepen and soon she was fast asleep!!! There I sat with my little girl sound asleep in my arms, on the couch, in the quite of our home cherishing this moment. My heart swelling and a few tears falling off of my cheeks. Makenzie never slows down until the lights are off, the fan is on, and mommy has sung the night time songs. She does not fall asleep in the car nor does she fall asleep on the couch in her mommy's loving arms...... until tonight that is!!!! Oh the seemingly simple things we take for granted!! The build up to this amazing moment was.....well..... busy! I am trying to play catch up from the last few days after I got a text message from my nanny yesterday morning telling me that she had found a better job elsewhere and would not be returning. A TEXT with NO notice! Who does that? I understand taking a better job with more hours and money but I could have sworn quitting usually came with some sort of notice. Maybe I just live in the dark ages? I called a friend who I knew was in need of a job to ask if she would be interested in helping until I could fill the position and she said yes. God is so good! So I did not go one day without assistance and the quest for another nanny resumes! Makenzie had PT, OT, and speech today. In between her appointments and feedings we went to Target. While we were there I got a bunch of stuff to make Makenzie a sensory board! My friend's Jenny and Shauna have made these for their kiddos and now that Makenzie has a chair with a big enough tray I thought I would make one for her. Makenzie LOVED it and the best thing is it was cheap and inanely easy! During OT Makenzie did a bit of floor work and had a great time. 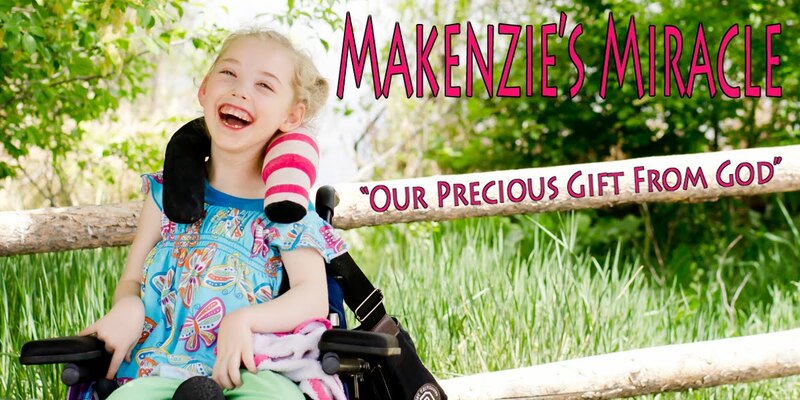 When it was time to start her lunch her therapist got her chance to put Makenzie in her chair. Putting her in gets a bit easier every time as she is getting used to the whole ordeal and is not fighting the process as much anymore! They played with the new sensory board and then Makenzie wanted to color! I got her some finger crayons because I thought Makenzie would be able to grasp the end and I was right, they worked great! As the OT was leaving Makenzie's Speech therapist showed up. Today we programed Makenzies new Christmas presents into her talked so they could be wrapped, put under the tree, and ready for Christmas day! Since we had to get them out of the box and working in order to do this we let Makenzie have a trail run! Lets just say that she LOVES them... yeah I know I am bad but they really are back in the box and getting wrapped! A busy day but yet a very good day. Most of my life is lived in the fast lane but for a moment today, life was peacefully slow!